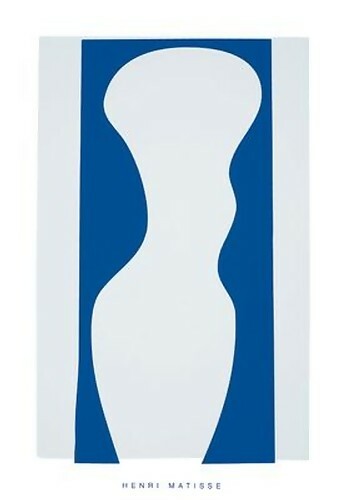 HENRI MATISSE ELEGANT TORSO MODERN ART SERIGRAPH, A great looking Fine Art Serigraph Prints by French Artis Henri Matisse. A great collectable item. These elegant striking pieces would make a splendid impression and fantastic statement anywhere. Features incomparable colorations and beautiful lines on this print, excellent! This piece is in excellent NEW MINT CONDITION is Highly desirable for collectors. This piece is perfect for any elegant home, office or place of business. You will find these Prints selling in Upscale Art Galleries and Museum galleries framed for up to $700.00. Buy your print from us now at good savings and frame it yourself. You can easily find pre cut frames at your local arts & craft shop, art supply store or local framer! Now is your opportunity to own this wonderful premier quality Fine Art Print from one of todays respected and highly collectable artists at a very affordable price. Buy it NOW! Matisse is often regarded as the most important French painter of the 20th century. As a master of supreme decoration and expressive use of color, his visionary experiments into different styles of painting from his impressionistic domestic and figurative subjects to his abstract cut-outs changed our perception of the world. Early in his career, Matisse was viewed as a Fauvist. His work gravitated to the beautiful and his celebration of bright colors reached its peak in 1917 when he began to spend time on the French Riviera at Nice and Venice. The geometric lightness and color radiance of these pictures sum up his greatest gift: his innate knowledge of how colors and shapes could come to life spectacularly when set in context. Matisse remains on of the most sort after artist. His works are collected and by major museums around the world. Click the button below to add the Elegant Torso Splendid Henri Matisse Modern Serigraph! to your wish list.